You may see a lot of Father’s Day’s promotions throughout the web. The promotions are not limited to regular merchandises, you may also see the promotion on gift card purchases. Personally, I just bought Staples and Best Buy e-gift cards and happened to know that there was a cash back portal site for BBY e-GC purchases. Many merchants sell e-gift cards as well as physical gift cards. Some merchants pay cash back for purchases of both physical and e-gift cards, and some merchants don’t pay for either of them. And also some merchants pay only for physical gift card purchases. This may happen because e-gift cards are sold at different sites called Cashstar. 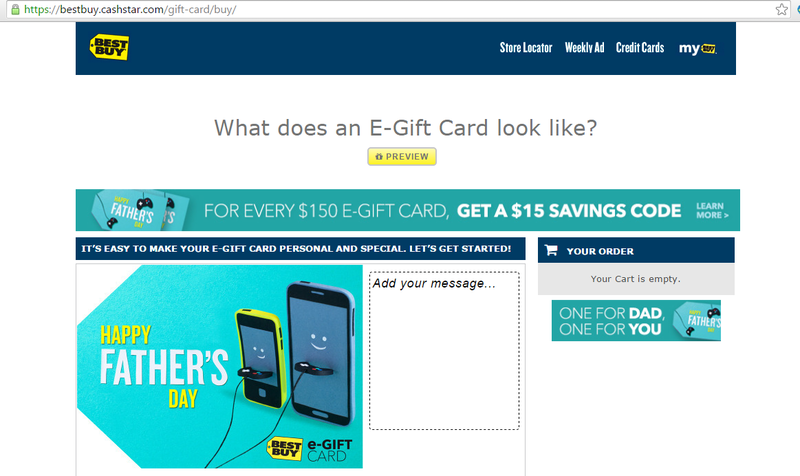 When you enter bestbuy.com and click Gift cards on the top, you are still in bestbuy.com. However, when you click Get Started (left at the bottom of the picture below,) you are taken to the outside of bestbuy.com. A web address is bestbuy.cashstar.com. The same things happen to some other merchants. For example, you enter gap.com and try to buy an e-gift card, you are taken to gap.cashstar.com. If you have Amex Offer, you can’t redeem some of them with e-gift card purchases because of this fact. That’s why you see “e-gift cards are excluded” in terms and conditions of many offers. It actually happened to me with Chime Offer. The offer was $5 back on $50 or more spent at Best Buy. I purchased $50 e-gift card, but I couldn’t see $5 credit posted in my account. An hour later, I purchased $50 physical gift card. $5 credit was posted instantly. Today, I happened to find this “Cashstar” in cashbackmonitor.com while I was checking cash back rate for other merchants. So, I have no idea how it’s been existing. SimplyBestCoupons offered the highest, 2% cash back yesterday. Best Buy’s link was in the section of sale/discount. I clicked the link and bought $150 e-gift card. Soon, I received an email from SimplyBestCoupons, and a pending cash back was posted. 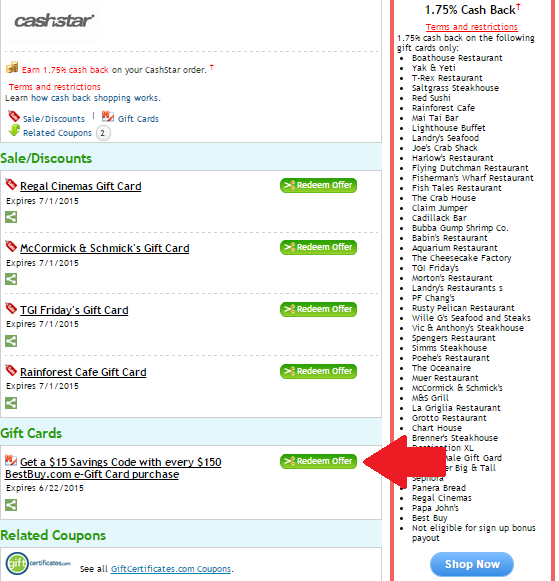 So many merchants use Cashstar for e-gift card selling, but merchants offering cash back seem to be limited. I check the website today, and they have updated terms and conditions. Now you can see a full list of merchants that is available for cash back. And the rate is reduced to 1.75%. What I like about Simply Best Coupons is that they send an email for all transactions very quickly. They send an email and post $0 even when you purchase something that is not qualified for cash back. I bought Starbucks gift card at Target.com on 6/2. As you see, I received $0. So, I’m sure that the item is not qualified for cash back. (As long as I know, there is at least one GC at Target.com is qualified for cash back.) And also, they sometimes offer 2% cash back on Amex Business gift card purchases. The next offer is coming soon. It’s on 06/22/2015. If you don’t have your account yet, please use my referral link to sign up. 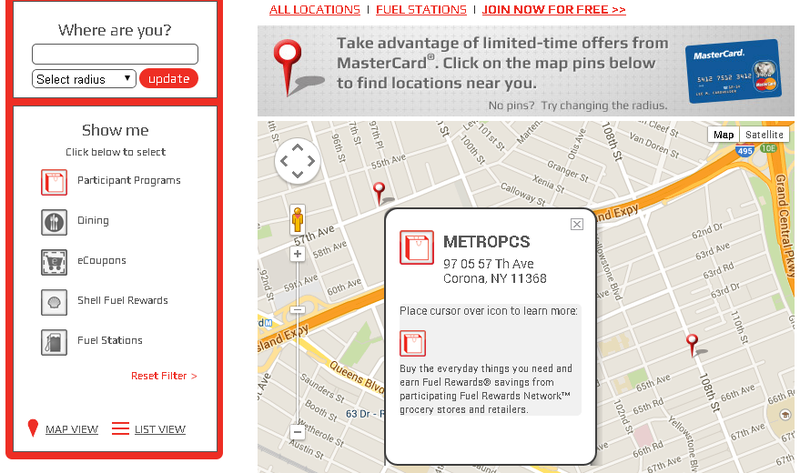 FRN (Fuel Rewards Network) have started (2) new MasterCard offers. If you don’t know FRN, please read “Ultimate Strategy of Fuel Rewards Network” and join. You will get a signup bonus (20¢/gal) and another 20¢/gal when you link your MasterCard. Both offers are eligible for purchases online and in store. You should use MasterCard credit or debit card that is linked to your FRN account. You don’t have to spend $100 or more at single transaction. An amount you spend accumulates. When a total spent exceeds $100, you will receive a reward. Eligible purchases should be made between November 3rd, 2014 and March 1, 2015. MasterCard Electronics offer is easy to get. Go to Best Buy store and find Visa gift cards. They are variable GCs, $20-$200 and charge $5.95 purchase fee. However, Best Buy’s loyalty reward program (My Best Buy) give you back 2% in store credit. (see details here) As combined with credit card reward, a purchase fee is completely covered. Visa GCs can be used for BlueBird/Serve reloads at Walmart. So, you can earn 10¢/gal on each Visa GC purchase. The only drawback is you can’t use the store credit for a purchase of GCs. You will need to use it for some merchandise in the end. There may be better ways from other stores. MasterCard Electronics offer is not limited on Best Buy purchases. Log in your FRN account and check all participating stores in your area. Conversely, MasterCard Winter Shopping is limited on three stores, Toys R Us, JCPenney and Olive Garden. At this moment, I can’t come up with any strategic ways to earn rewards. But, 20¢/gal is very appealing. And I need it because AmEx GC offer has just disappeared from FRN Online Mall again. When I browse info about the stores to find a way to earn a reward, I saw some interesting blog posts and forums about Toys R Us gift cards. They said, “You can buy other store’s gift cards, such as amazon GCs, with Toys R Us GCs in stores.” I don’t know what other gift cards they have. And the problem is that blog posts and forums are years old. I don’t know if this strategy works now. I will need to find that out for myself. At first, I’m going to buy a $100 Toys R Us GC online. I’m pretty sure that it is eligible for FRN reward. During the previous MasterCard offer (Home Improvement Stores), I bought many gift cards at harborfreight.com, and the rewards were posted (cash back from ShopDiscover as well.) However, I’m not sure about cash back from shopping portal, though. Upromise offers 5% cash back which is the best right now. The blog post says he or she got cash back although its terms stated that a purchase of GCs was not eligible. But again, the post is years old. I will need to do it myself, anyway. 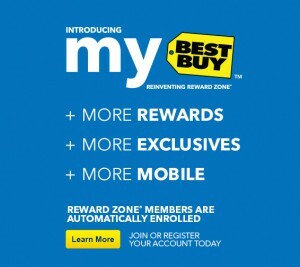 Best Buy has its own rewards program called My Best Buy. It’s free to join. You can earn 1 point on every dollar you spend both online and in-store. The value of point is $0.02. You can redeem them in 250 pt (=$5) increments. So, it’s 2% back. It is very easy to collect the points because you can earn the points on purchases of not only regular merchandises but also Gift Cards, Phone Cards, Prepaid Cards, etc. You can even earn the points on the purchase of Best Buy Gift Cards. However, you won’t get the points when you redeem Best Buy gift cards. If you buy $299 digital camera and pay with $100 gift card and credit card, you will earn 199 pt. There are two levels of VIP status, Elite and Elite Plus. You will reach Elite status by spending $1500 in a calendar year, Elite Plus by spending $3500. Same here, the purchase of gift cards is a qualified spending for VIP Status, but the redemption of gift cards is not. Here is a comparison of VIPs and Basic status. The benefits of VIP Status is valuable. Base reward and 25% bonus account for 2.5% back in Best Buy reward certificate. Free shipping on all order is helpful because most of the popular items are not always available for a pickup in your area. 45 days is enough time to test and evaluate products. Whether you are a frequent buyer or shopping several times a year, you should get highest Elite Plus status because you can get very quickly and easily by purchasing Visa gift card at Best Buy Stores. Again, you can earn reward points on the purchase of gift cards. Currently, Best Buy sells three different designs of Visa GCs in stores. They all charge $5.95 purchase fee. And you can choose an amount to load between $20 and $200. If you buy one $200 Visa GC, you will earn 205 pt, which is worth $4.10. If you use a reward credit card, you will earn at least 1% cash back = $2.00. The points and cash back totally cover a purchase fee. Best Buy is a very MS-friendly store. I’ve purchased at five different stores, and none of them refused me to use a credit card. Probably, there is a limit you can buy at a time. I have once bought three Visa GCs in a single transaction without any problem. Visa GCs from Best Buy is issued by MetaBank, which is the same issuer of ones from Staples. So, you can load BlueBird and Serve with them at Walmart. As long as I know, there are two credit cards that have bonus on the purchases at Best Buy. One is US Bank Cash+ Visa. If you choose Electronics Store for 5% cash back bonus, you can earn 5% cash back on up to $2000 spent every quarter. The other is Citi Dividend. Its 4th quarter of cash back bonus usually has Best Buy in category. You can earn 5% cash back on up to $6000 spent. How Long Does the Status Last? Once you get VIP status, it lasts a full of the same year and the next year. It will expire on the end of February of the following year. For example, if you become Elite Plus in July, 2014, the status will expire on February 28th, 2016. If you spend $3500 in 2015, the status continues until February, 2017. While most loyalty reward programs exclude gift card purchases from earning their reward, My Best Buy allows to earn a reward by purchasing gift cards. This makes it easy to get VIP status by purchasing Visa GCs in store. If you have credit cards that have bonus on Best Buy purchases, you will get several-hundreds-dollar worth of product for free every year!